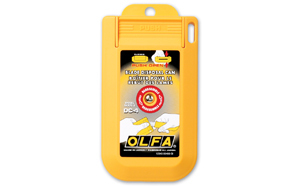 OLFA Blade Disposal Can DC-4 Model 1064415 is perfect for every industry. 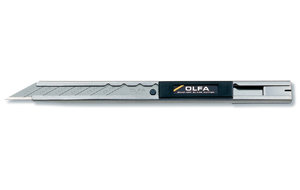 It's sized to accommodate larger blades, such as OLFA's Extra Heavy-Duty snap off blades, Dual Edged safety blades as well as Carpet blades and others. The case is designed for safe disposal of blades.